Just off the pallet, attempting to use acrylics only on this impressionist style. I am happy with it. 18 x 24 on canvas. Okay, this is from a photo I took a while back and I have been wanting to paint this. I painted this on a panel using oil sticks and finished it with oil paint. I really had fun doing this. In my view this is expressionist style, what say you? Oil sticks and Oil paint on panel 18×24. 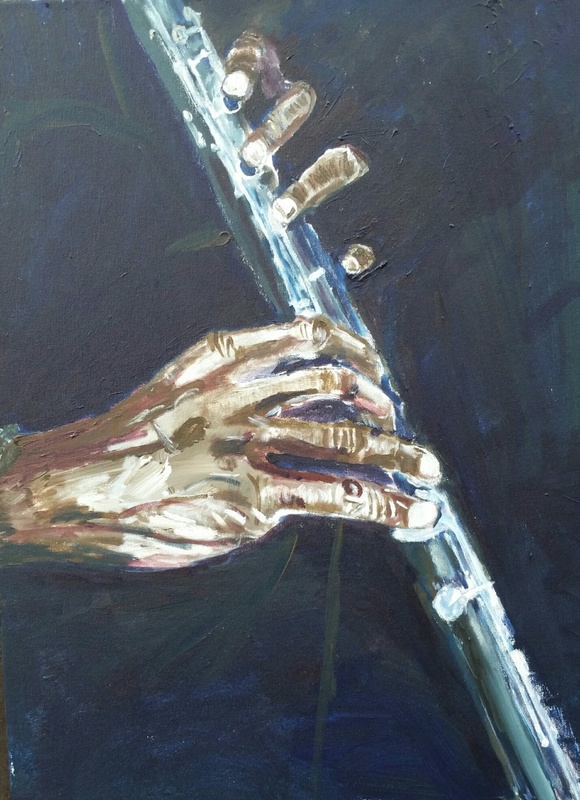 I used to play the clarinet, when I saw this as a photo, I needed to paint it. Acrylic on canvas, 18 x 24. 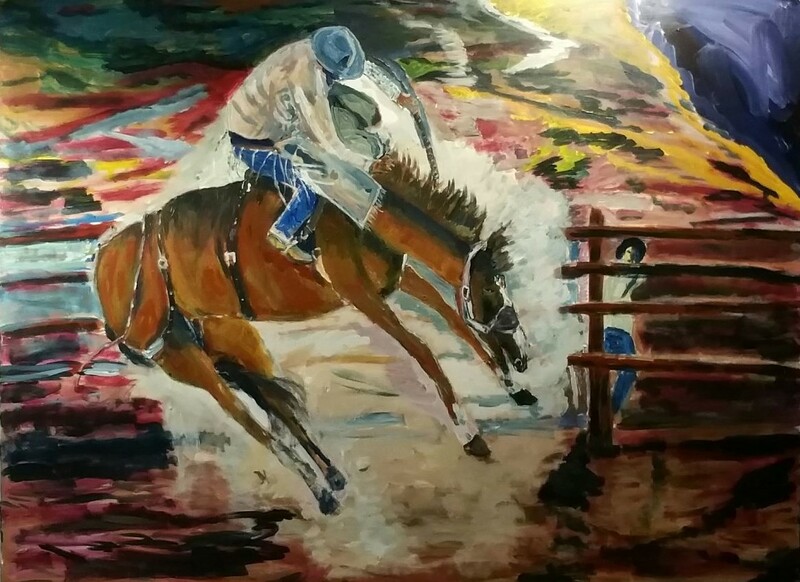 This was last worked on December 31 2015, New Years Eve, my attempt to finish it by the end of the year may stand. 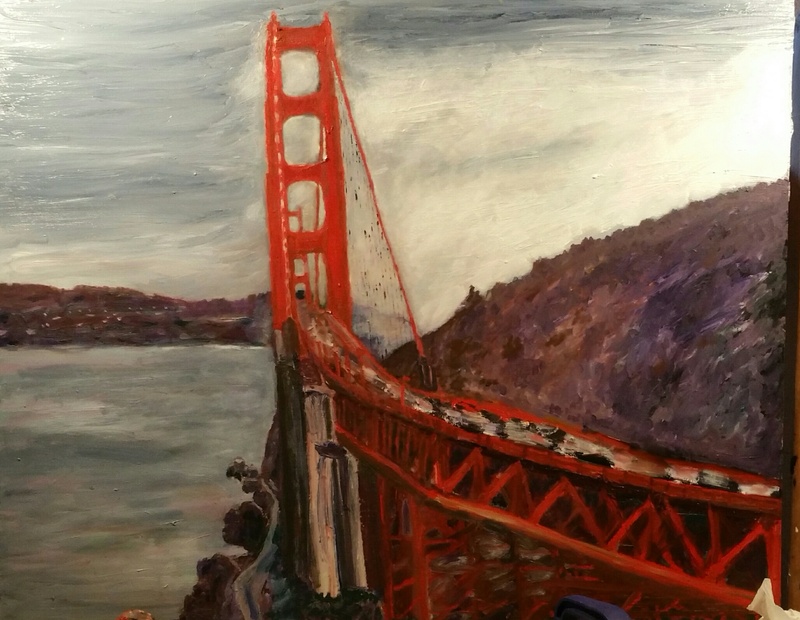 Done in acrylic and had the intent I was to finish it in oil, but I really like it where it is, so for now it is finished. This was my first attempt at painting of a black cat, I had fun painting this, again in expressionist style which is even more fun then impressionist. 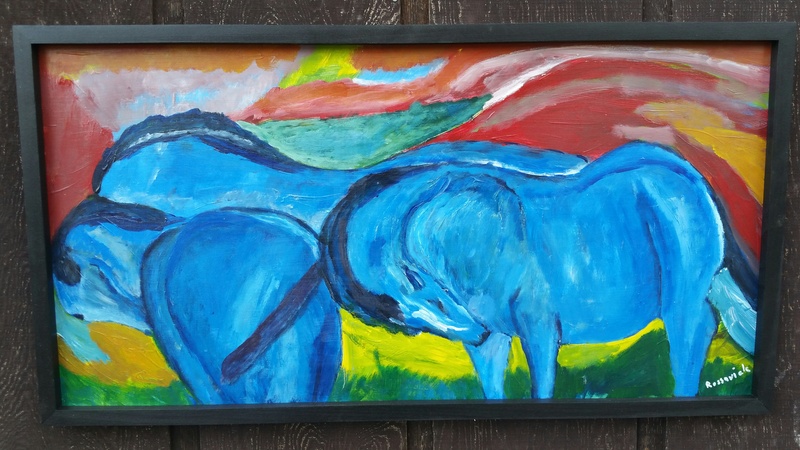 This is my emulation of Fraz Marc’s “Blue Horses” He is one of my favorite artists and found this one work interesting. He painted it much larger then I, plus I changed the colors somewhat.